Spatial storytelling enables multifaceted inquires in digital humanities and urban research, where complex and multilayered information is processed and presented with the help of spatial and visual technologies. Consequently, new topics such as embodied perception, user experience and interaction, and digital reconstruction are adopted and repurposed in this emerging field. In this talk, I will introduce three projects each taking a different approach to spatial storytelling and offer a comparative evaluation of their methodologies. 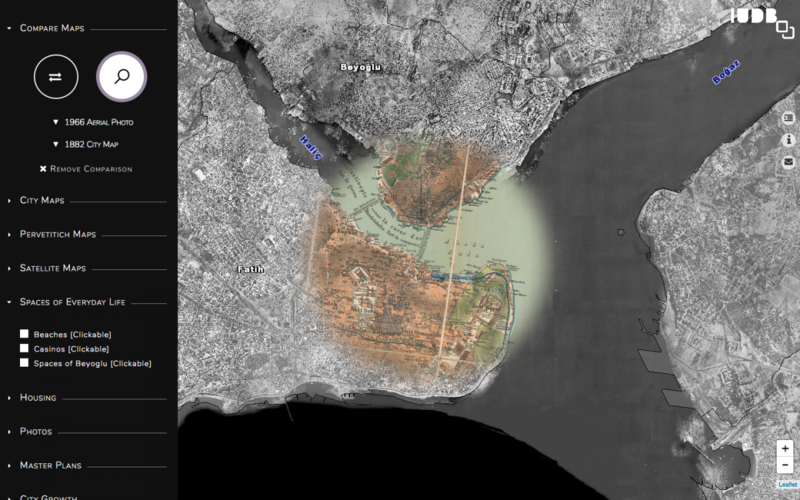 The first project, Istanbul Urban Database, is an interactive mapping platform composed of digitized historical urban archives of Istanbul allowing users to explore spatio-temporal layers of Istanbul. The second project, I am Istanbul, is web-based storytelling platform in which users observe the flow of daily life in Istanbul throughout the 20th century via the lives of fictional characters. The final project, September 1955, is a virtual-reality documentary re-enacting the Istanbul Pogrom of 1955.